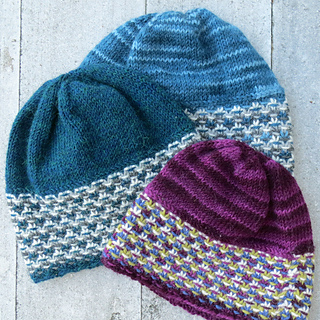 Granite is the first pattern from Holiday in Zermatt, a collection of four colorful cozy hats for the whole family. 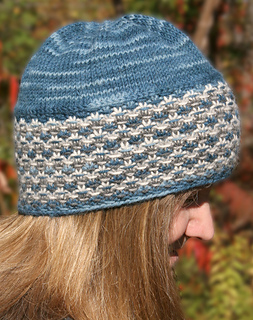 Granite is a hat that features a wide textured brim and a gathered crown. 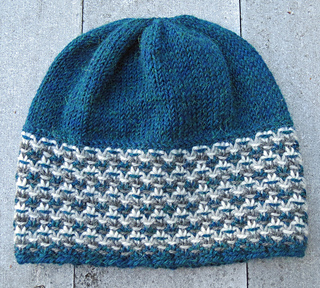 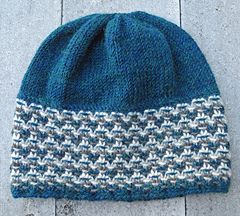 The brim is worked in several contrasting colors, and is perfect for using up small amounts of worsted weight yarn. 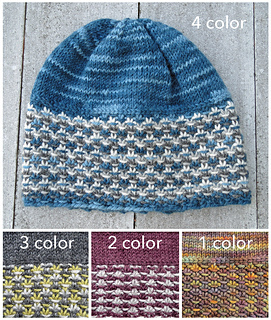 Additional instructions and samples are provided so you can adjust the number of contrasting colors to match your needs.